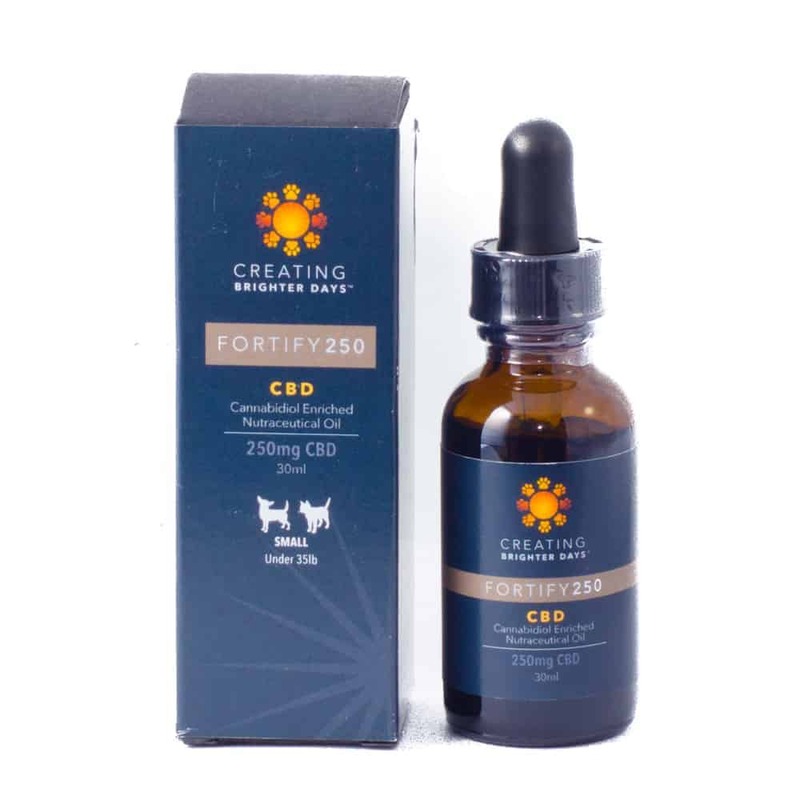 Fortify nutraceutical pet oil by Creating Brighter Days™ brings the body into alignment and prevents CBD deficiency. The medicinal ingredients include 99.9% pure CBD isolate to promote balance and create homeostasis, pure coconut MCT oil with far-reaching anti-inflammatory benefits offering support for brain health, antioxidant-rich hemp seed oil to increase immunity and improve cardiovascular health, and pumpkin seed oil to reduce anxiety and prevent illness. Purchase this product now and earn 45 Goldbucks! 1 review for "Baked Edibles – Fortify – CBD Pet Oil (250mg)"